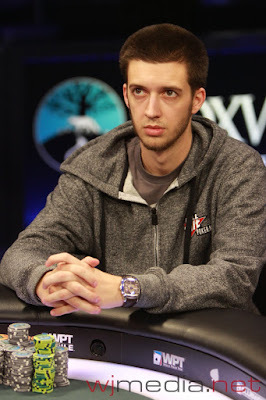 Tom Marchese moved all in from the button and got a call from Jeff Forrest in the big blind. Marchese turned up [3d][3h] but Forrest showed [4h][4s]. Marchese was in bad shape until the board ran out [Kd][9d][5h][Qd][4d], giving Marchese a four-card flush and doubling him up! The flop came [Ad][9h][3h] and Inselberg took the lead with a pair of nines. The turn was the [8s] and the river came the [Td]. Inselberg won the pot to double up to over three million. 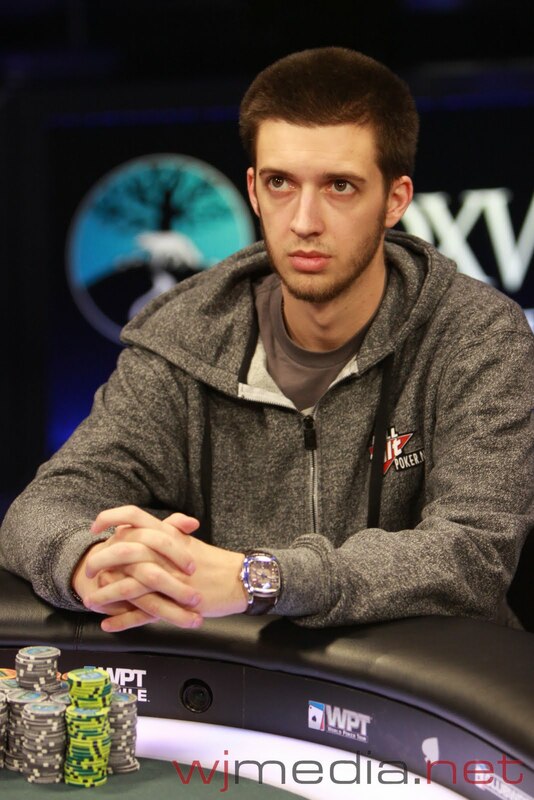 The board ran out [Kh][8s][4h][8d][5c] and Forrest won the pot to double to over 1.8 million. The blinds are being increased to 30,000-60,000 with a 10,000 ante. The three remaining players are now on a short break. 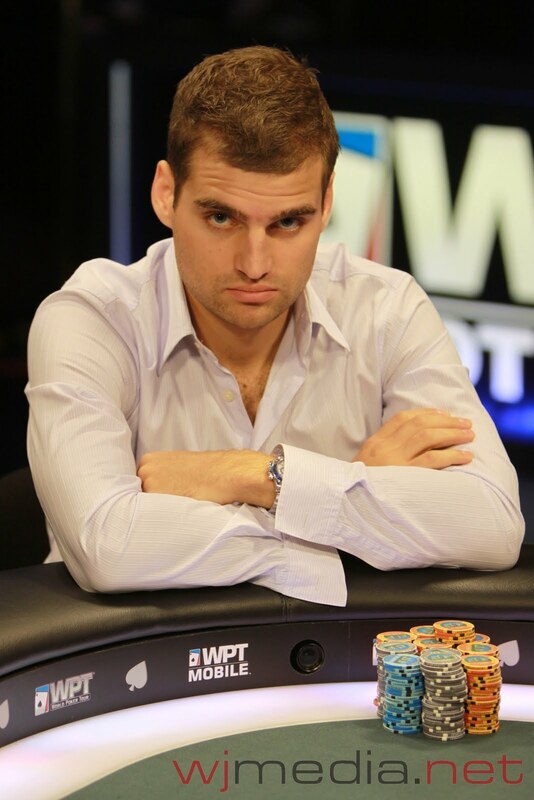 Nikolai Yakovenko raised to 100,000 before the flop and David Inselberg called from the big blind. The flop came [Kc][8s][7s] and David checked. Yakovenko bet 50,000 and Inselberg raised to 150,000. Yakovenko tanked for a minute and then announced all in. Inselberg snap called and turned up [Ks][8c] for two pair. 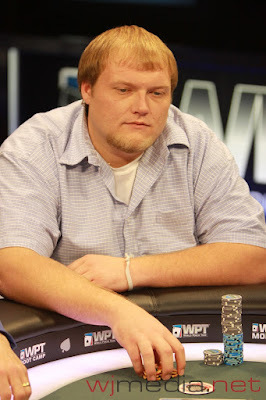 Yakovenko turned up [Ad][Ah] for a pair of aces. The turn was the [3s] and the river came the [9c]. Inselberg's two pair held up and Yakovenko was eliminated in 4th place. The board ran out [Qs][Td][4d][3h][Qh] and Inselberg's hand held up to win the pot and eliminated Stammen in 5th place. 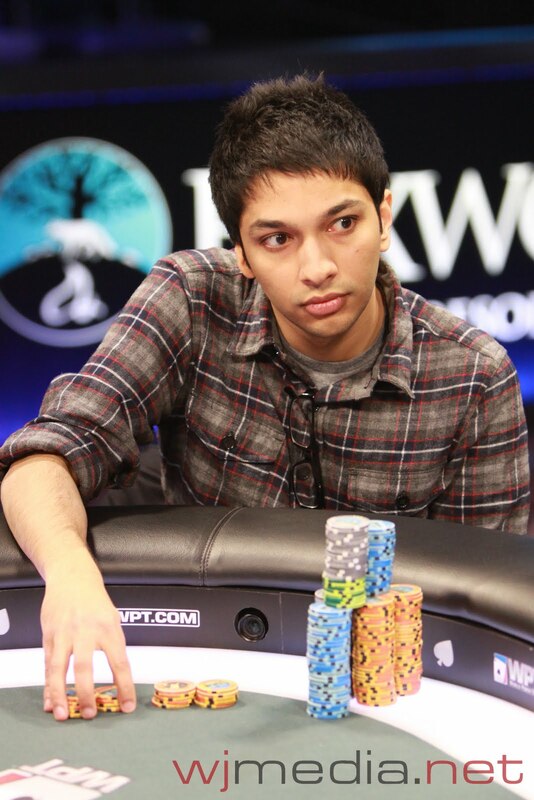 After being crippled to only 30,000 chips after losing with pocket sevens to Keven Stammen's pocket eight's, Mohsin Charania moved all in on the next hand and Jeff Forrest raised to 90,000. 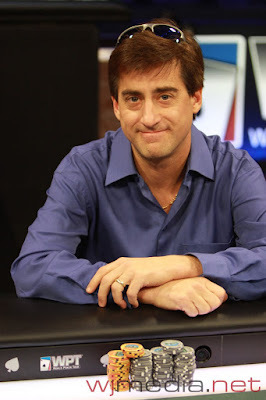 Tom Marchese made the call and the flop came [Ah][7s][5h]. Charania needed a four to stay alive but the river came the [5s], giving Marchese the pot and eliminating Mohsin Charania in 6th place. The blinds are now 20,000-40,000 with a 5,000 ante. Follow @FoxwoodsLive for Hand for Hand Action! We are doing live hand for hand tweets from @FoxwoodsLive. The turn was the [4d] and the [Ac] fell on the river. 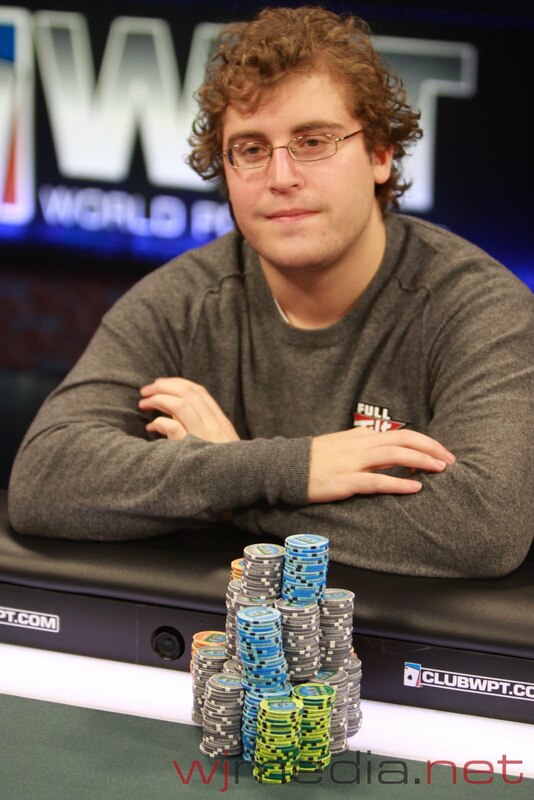 Inselberg's two pair held up to win the pot and double up to over 700,000 chips. The board ran out [As][6c][6s][Qs]9c] and they chopped the pot. The blinds have been increased to 15,000-30,000 with a 5,000 ante. The players are now on a ten-minute break. Tournament officials are coloring up the orange 1,000 chips. The board ran out [Ks][8s][5s][Js][8d] and Yakovenko's hand held up to take the pot and double up to over one million chips. The final table is now underway. The blinds are 12,000-24,000 with a 4,000 ante. WPT Final Table Set to Begin! We are about a half hour away from the start of the WPT Foxwoods World Poker Finals final table. Stay tuned to FoxwoodsLive.com for all of the updates and photos from the event. Want live hand for hand coverage of the final table? Be sure to follow @FoxwoodsLive on Twitter to see all the action.